Can a guilty plea bring closure? 30-year-old Jaskirat Singh Sidhu pleaded guilty to 29 counts of dangerous driving. He blew through a stop sign, and crashed into the bus carrying the Humboldt Broncos junior hockey team in rural Saskatchewan last April, killing 16 and injuring 13 others. The Humboldt bus tragedy. A guilty plea. Gut-wrenching victim impact statements. "I forgive you," Christina Haugan said. The wife of Humboldt Broncos coach, Darcy Haugan, spoke directly to the semi-truck driver who was responsible for the death of her husband this week. Other family members were not as forgiving as Haugan. 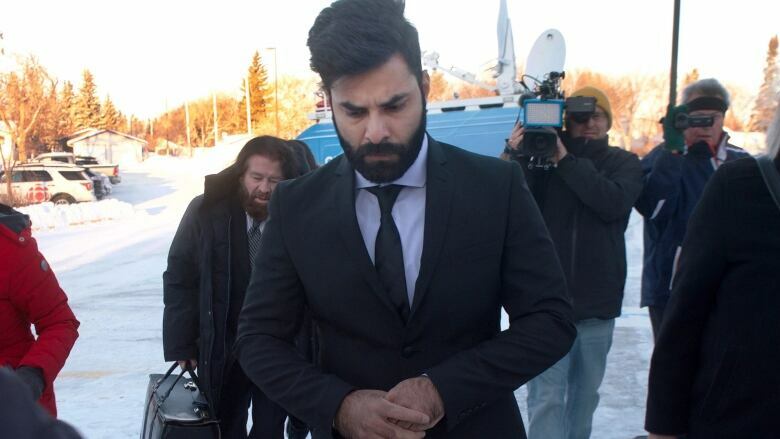 Over the course of the sentencing hearing, Canadians have heard gut-wrenching victim impact statements that filled with a sense of injustice, sadness and anger. Our question this week: Can a guilty plea bring closure?